Andrew James Normandale Wilson was the son of Harry Pringle Wilson and Ruby Wilson. Andrew was born about 1921. On 12th June 1943 at 1.40am, a Halifax V of the 76 Squadron was shot down about four kilometres south of Bladel. Bladel is a small town in southern Holland, only three kilometres from the Belgian border. The pilot was Sergeant Andrew James Normandale Wilson who, with five other crew members, was killed. 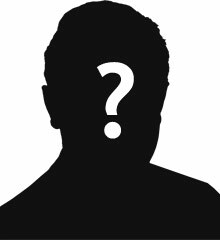 There was one survivor, the navigator, Sergeant Y E S Lobban. 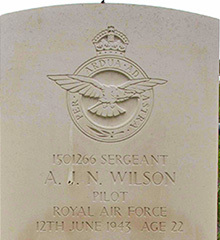 Sergeant Pilot Andrew James Normandale Wilson is buried in Eindhoven Woensel General Cemetery, Noord-Brabant, a few kilometres east of Bladel.